My mother bought me these and I was at first rather skeptical about her tastes for my make-up. It turned out she hit the jackpot and those two little guys are the eyeliners I’m currently using. In terms of eyeliner, it really depends on mood, if I’m happy enough, I’ll invest the patience in using one. 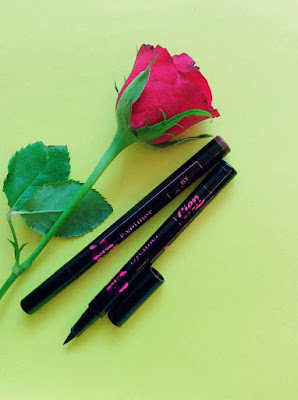 So far I’ve never had one which made applying super easy, so I concluded it’s a natural thing for eyeliners. Truth is you never know how asymmetrical your eyes are until you decide to apply it. The one from Cien has the form of a pencil and is thin. Carrying it around is simple and it seems like a basic product. 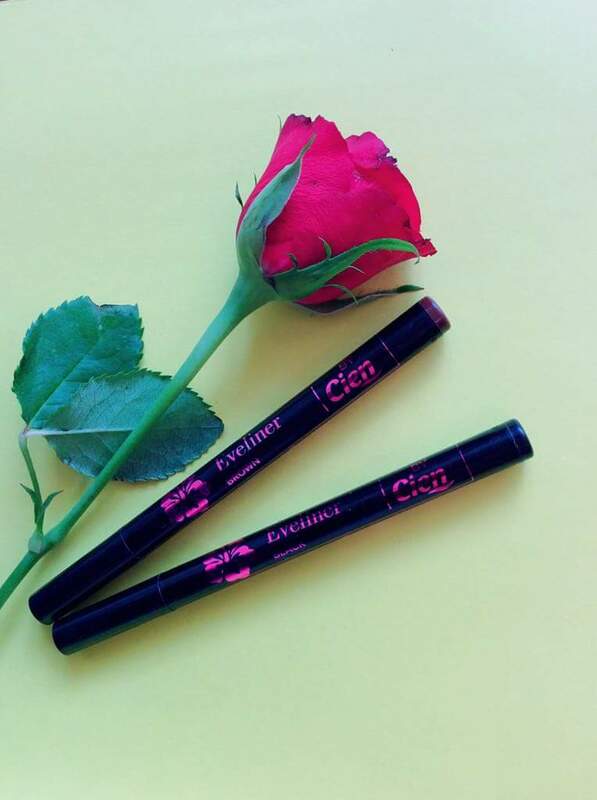 You go from pencils in kindergarten to more elevate pencils to enhance your beauty. But are they just as effortless to use? In my opinion, they are; the tip is very basic, but you can draw pretty well and fast your desirable line. Make sure to be quick though because it dries quickly and layering shouldn’t be an option, the more you try to make thicker, the more you’ll get angry. The shades available were black and brown. My personal preference is the brown one because is more suitable for an everyday look, a more casual one, while the other is intensifying your look and is more dramatic. Both are great in terms of color and intensity of it, they just have to be worn at the appropriate time. Now, remember when I said that make-up products at Lidl are rare birds? I’m bringing this up because no matter how nice this product is, it’s not always available in the store. As a matter of fact, the stand with make-up products in my Lidl is a little empty these days. Hopefully they will come up with something new soon. - Easy to apply due to its shape. - Not available at any time. Until next time, take care of yourself and blend well. Bought these two in a sudden DM visit and time passed until I realized I had to write a review for them. The problem wasn’t that I had to write a review, it was the writing on them. It wasn’t written in my language, nor English and I definitely do not possess any skill in German language. To make situation worse, the little label where it did write in my language began to wash off and now only a few words are visible. Setting this aside, the results are more important, so let’s see what every product did. Firstly, the Creme Peeling was very gentle, maybe because it contains apricot seeds oil. The smell was also subtle and calming. Like any other scrub, I didn’t use it more than once or twice a week. It is gentle, but it’s a scrub after all. The thing to appreciate about it is that the skin does not become dry after using it. However, I’ve had more powerful scrubs in the past. On the other hand but on the same face, I used the cleansing gel with active charcoal. It removed the impurities and did a fair cleaning. And who hasn’t fun when their face is turning gray? It did leave the face dry and as well as in the case of the peeling product, you had to follow the important step of using some kind of moisturizer after. The thing I was most annoyed by when it comes to this product is that you had to massage it thoroughly or else there would be parts of the product not dissolved. It isn’t normally a problem because a part of cleaning is massaging, but with this gel, it got slippery and messy. The active charcoal is a substance that can facilitate the removing of dust, dirt or bacteria from the surface of the skin. Although it was my first time trying a product with such proprieties, it didn’t let me down. It cleaned well my skin, no comments on that. All in all, they were acceptable, suitable for a skin that doesn’t have many problems. They both have enough quantity to last you a good period of time and they both do their job fairly. If I had to buy them again I would probably pass, but not because they are bad products, but because they don’t really stand out or have some shining characteristics to make me buy them again. Hope this was useful for you and you’ll have a beautiful week. This was a present for my birthday and being the lazy person I am, this review is only coming out today. 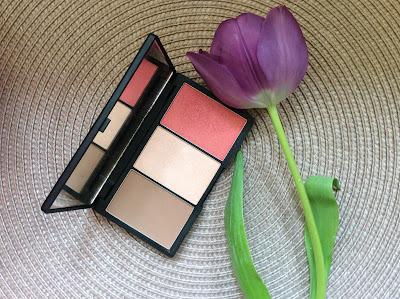 You never know you need a contouring and blush palette until you have one. But if you think about it, it makes sense, you have all things in one place. They didn’t put much accent on the highlighter and if they don’t believe in it, why should I? That was my first thought after reading what they described, but after using it, I realized the highlighter isn’t bad at all, it’s just more subtle than the trend right now. The contour powder is also subtle, but I like it. It defines the cheekbones, jawline and nose well, without seeming obvious. The thing that stands out is the powerful blush. While the other two components are more subtle, the blush is of a bright orange with a strong pink undertone. And it also has shimmer included so do be careful how you use the highlighter. The package is nice, of an elegant black and it matches my mood perfectly at the moment. 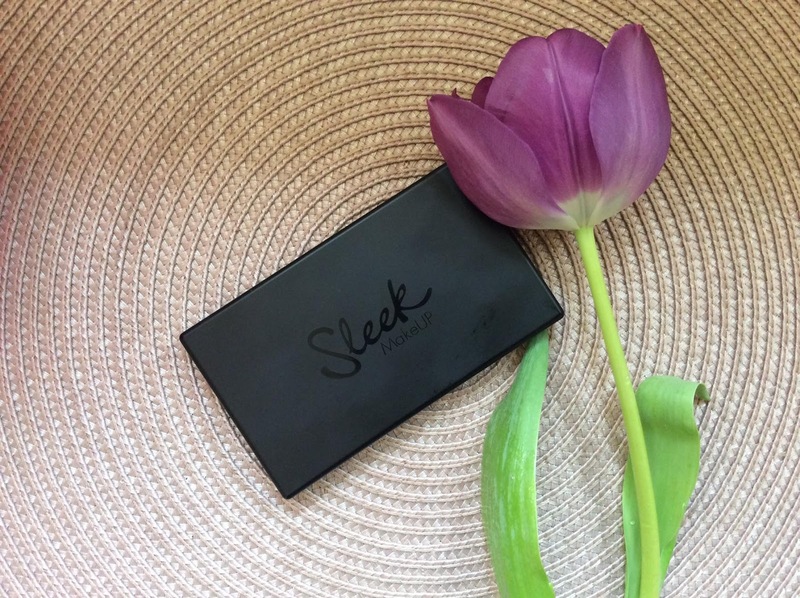 The shade is Light 373 and it has 20 g. Another detail that deserves appreciation is the mirror. It has a considerable size and it help applying the product nicely. The blush has too much shimmer for my taste. Tell us your opinion of this product if you’ve already tried. Take care and until next time, blend well. You know the feeling when you have enough lipsticks at home but feel like something is missing and you have to buy one more? 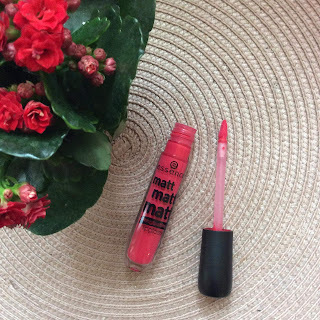 If you could call it motivation, that’s why I bought the Essence Matt Longlasting Lipgloss. Plus, felt in love with this color. Can’t specify the exact shade, that’s how awesome I am. From what I saw, they had crazy colors like blue and mauve, but my eyes got fixed on this raspberry beauty. 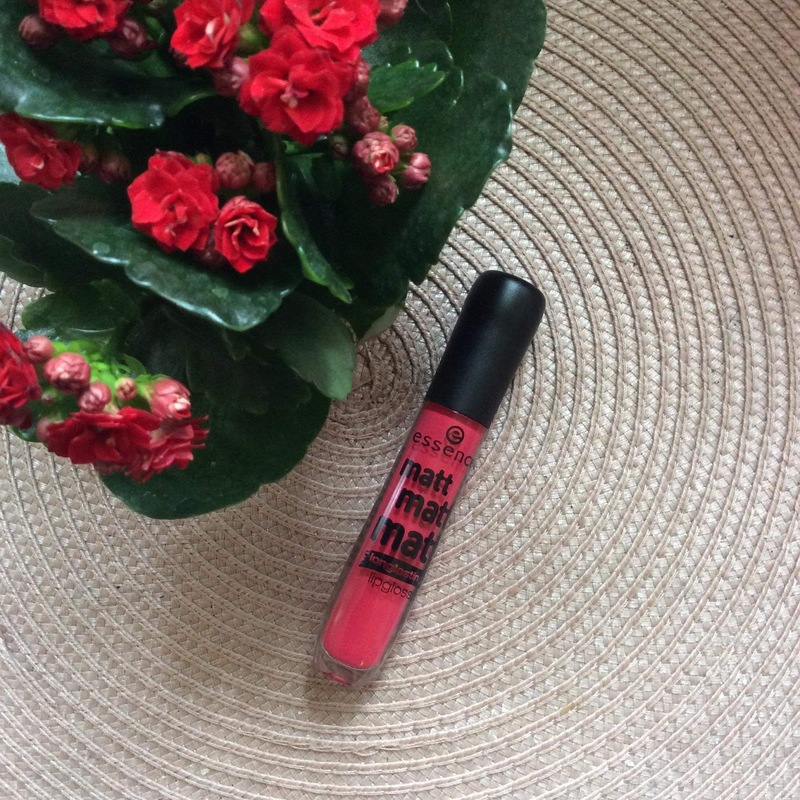 They describe it as “longlasting, creamy lipgloss for velvet-matt lips – does not dry out the lips, high coverage”. Now, let’s analyze what they said and find out if it is true. First of all, the formula is really creamy and easy to apply. It is definitely more matt than an ordinary lipgloss, so nothing to comment on that part. Secondly, it is right when it’s saying that it doesn’t dry out the lips. Didn’t felt the damaging effect I felt with other matt lipsticks so that’s an advantage. All good things have an end and now we should talk about the promised longlasting wearing. Probably because the formula is so creamy, the lipgloss doesn’t resist too much. You have to reapply it constantly and that can be so annoying. I would have given up this lipgloss if I didn’t like the color so much. It’s also probably why it has such a good smell and tastes like a nice cupcake. - - Nice color and a wide color range to pick from. - - It doesn’t last for long, not at all. Have a beautiful day, sweeties. 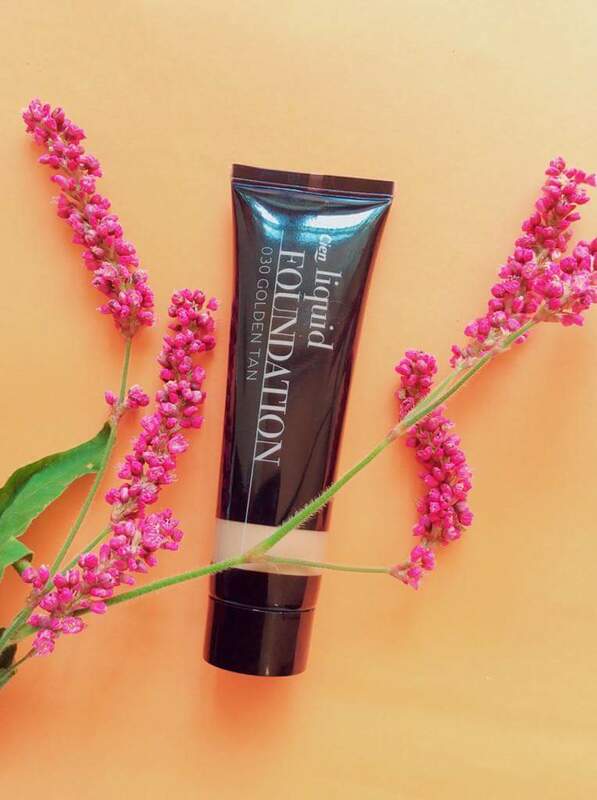 Bought this foundation a couple of months before and used it but didn’t find the time to share with you the experience. Now I’m going to reveal all the good and bad parts of it. That’s how we will notice once again the importance of good foundation. Never tried before a foundation from Lidl and was intrigued when it came up. I rapidly purchased it and the first problem was that there were only three shades available, each one a little too dark for me. The shade I bought is 030 Golden tan and because it was summer then, it fitted me so much better than now. The coverage is okay and because of the liquid formula it is easy to apply. It does have a way with skin; you have to use some moisturizing cream because there is the risk to make it dryer. The finish is matte and you have to be quick when you apply it. It leaves the skin smooth and firm and it lasts a decent amount of time. The package is rather effective than esthetic. It has 30 ml of product. Don’t want to be mean, but it seems like it’s something I would use only in case of an emergency, not something I would return to buy. The formula is too dense and leaves a sandy feeling. It’s a shame because a lot of products from Cien are so good. Unfortunately, this one destroys a little Cien’s reputation. - - Nice matte finish. - - Few shades to pick from. Until next time, blend well. These two products have been my favorites lately, whenever I wanted something more delicate and calming I would use them. They are both meant for dry skin and what other season could their effect be more important? 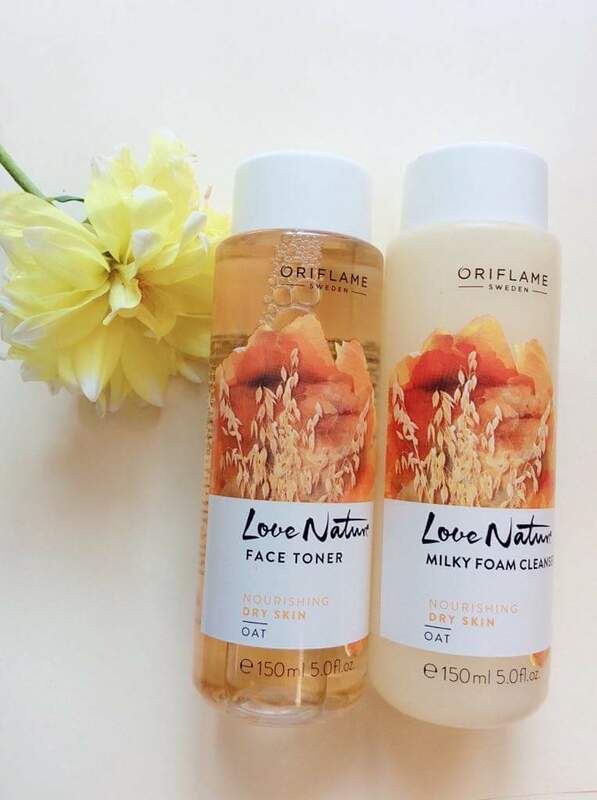 Both bottles have 150ml of product and have oat as the base ingredient. Never thought that an ingredient so common like oat could have so many benefits for the skin. When they promised you would get your skin nourished and soothed, it wasn’t a lie. The smell is pleasant, sweet, but not overwhelming. The face toner is among my favorites. It doesn’t irritate the skin, but leaves it smooth without feeling burdened. The thing I appreciate the most about it is the calming effect, it doesn’t stress the skin. I would usually apply it with a cotton pad, not at night, but after work as a way to bust my skin. Make-up is removed decently. Regarding the milky foam cleanser, it is a good cleanser, it does make your skin a little dry, but it doesn’t exaggerate. The part I didn’t understood about it is the foam effect. After being used to some other products that used foam technology, this one doesn’t create a decent amount of foam. However, it does remove the impurities and leaves the skin fresh and nourished. - - The package is also good looking. - -The face cleanser could have made a little more foam. If it wasn’t specified then it would have been okay. Nobody likes broken promises, right? Ethereal theme. Theme images by Shana Novak. Powered by Blogger.